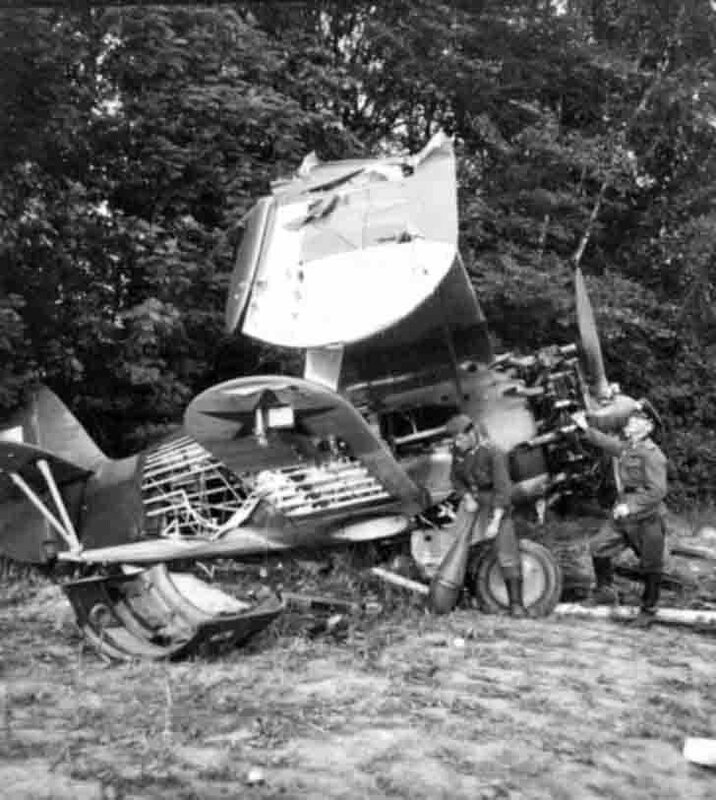 Dismantled Soviet biplane I-153 “Chaika” fighter and the German soldiers. Biplane I-153 “Chaika” fighter was the third modernization of the aircraft I-15. I-153, released in 1938, was the most advanced aircraft of the biplane in the world, but by then hopelessly outdated, its speed is not allowed even to catch up with German bomber Junkers Ju-88, not to mention the fighters. Nevertheless, the aircraft used in air defense and as a light attack aircraft until 1942. The most famous case is the use of a biplane I-153 “Chaika” fighter as attack aircraft, attack the Italian torpedo boat in the Crimea in 1942. The boat was Field Marshal von Manstein. The boat was destroyed, and von Manstein miraculously survived (Paul Karel “Hitler goes to the East”).